I woke up inspired and hungry this morning. For some reason I woke up craving pancakes and then it dawned on me that it was National Pancake Day, so naturally I made myself some pancakes. 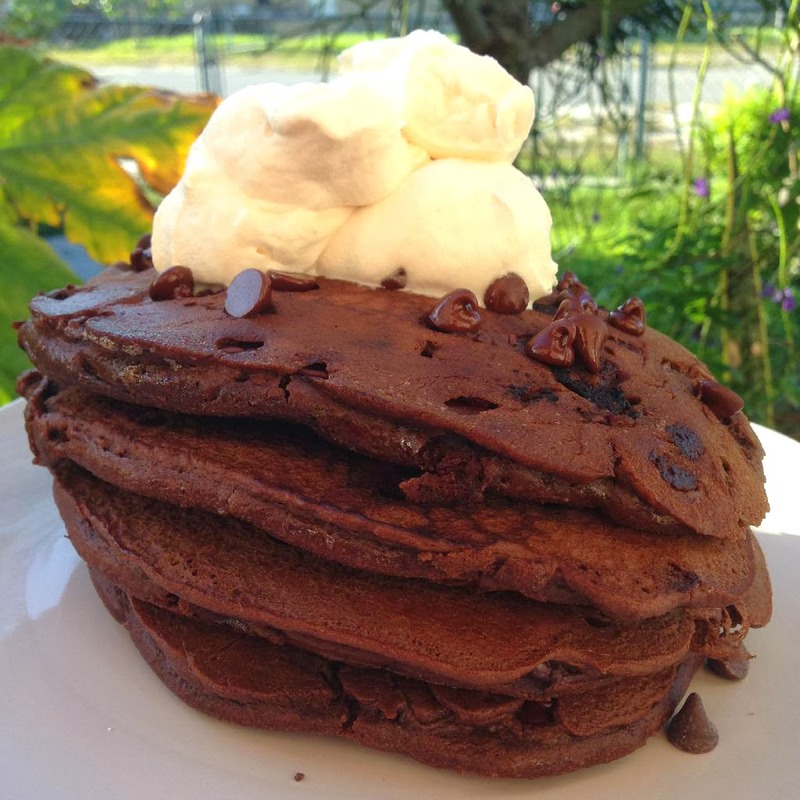 I wasn't going to just make any ol' pancakes, that would just be ridiculous. I turned it up a notch and made myself some fluffy, double chocolate chip pancakes and threw on a giant dollop of homemade whipped cream por si las moscas. So here's my recipe for you to enjoy. Surely you could bypass the first few ingredients and use a store bought pancake mix, but where's the fun in that? In a large bowl, sift together the flour, baking powder, salt and sugar. Make a well in the center and pour in the milk, egg and melted butter; mix until smooth. 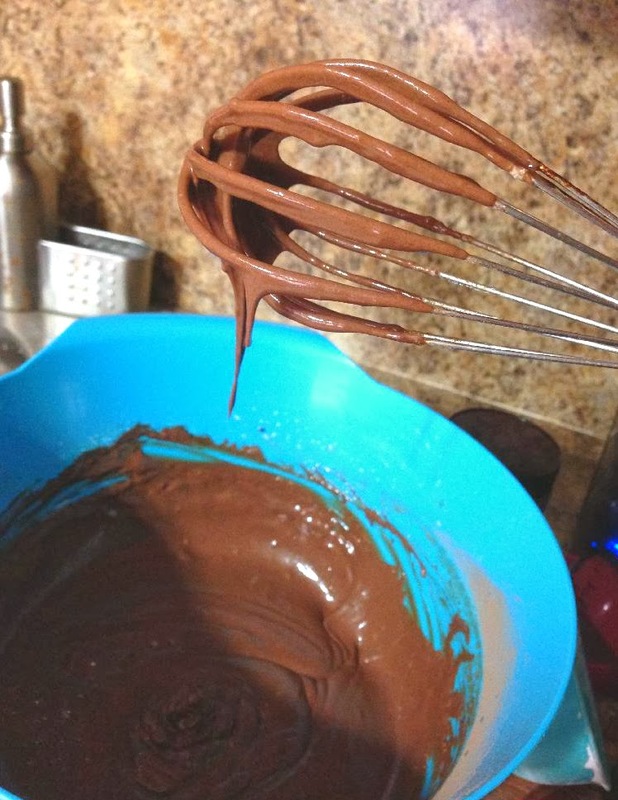 Whisk in the unsweetened cocoa. In a small, separate bowl, combine the freeze-dried coffee and water. Once incorporated, mix info the batter. Heat a lightly oiled griddle or frying pan over medium heat. Pour or scoop the batter onto the griddle, using approximately 1/4 cup for each pancake (an ice cream scoop works really well). 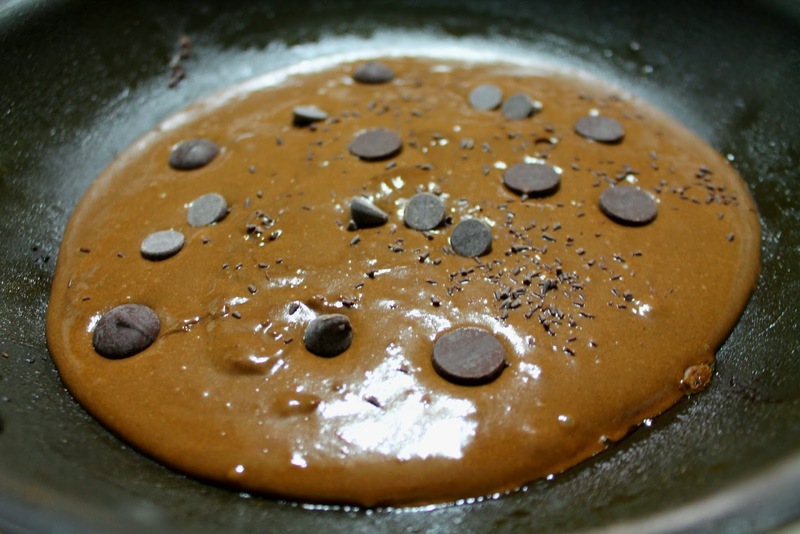 Immediately after pouring batter into the pan, add desired chocolate chips onto the pancake. When pancake begins to slightly fluff up and detaches from the pan around the edges, flip it over. Once cooked on both sides, remove from heat and set on plate while you continue cooking the rest of the pancakes. Get my whipped cream recipe over here. These are SO good! All of my kids friends who follow me on Instagram are asking for them!